With all of the talk about prepping over the last few years, I have been doing a lot of research and planning to make sure my family is going to be safe should something catastrophic occur. Zombies have become a popular theme for emergency planning. A Zombie Apocalypse is simply a metaphor for a natural disaster, a crash of the economy, or even an act of terrorism like an EMP or nuclear explosion. Consensus is… If you are ready for a Zombie Apocalypse, you are ready for anything. The Centers for Disease Control has even launched a “Zombie Preparedness Campaign” as part of their outreach program and for this article, I will be referring to the “catastrophic event” as a Zombie Apocalypse as well. Aside from the common items you are likely to include in your survival cache like food and water. There are many other items to consider. Remember… Your local foodmart and home centers will likely be closed or worse, picked clean. As I was putting this list together I decided not to focus on obvious items like Duct Tape, nails, fire starters or other common camping equipment. I felt it was more important to discuss items that could also be used to barter with that may or may not be so obvious. What will all that paper money or credit be worth should the economy collapse or the power grid go completely offline? When there is no food, water, fuel or other must-have items available, what items would become a valuable commodity in a Zombie Apocalypse? Some of these things you may already know and some of these things you might not have considered before. My only hope that some of you will learn something new, plan effectively, and most of all, survive. When there is no more running water and you run out of bottled water what do you do? Boiling water is certainly the safest option. However, boiling water is not always feasible and Iodine tabs typically make the water taste horrible. Simply having a LifeStraw or a portable water filtration unit from Sawyer, Katadyn or other manufacturer can be a lifesaver. If you can make enough of clean water for your family and then some, you will surely have an extremely valuable commodity at your fingertips. When the power goes out, how will you survive when the sun goes down? Whether it be protecting your home or traveling from one place to another in the dark, simply having a flashlight in your hand can make all the difference. 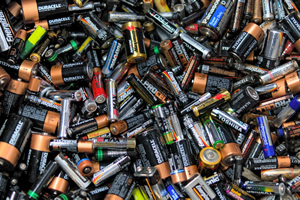 Anyone with a cache of batteries, flashlights and bulbs will likely have something of considerable value to most. LED flashlights and small communication devices tend to use AA or AAA batteries or other rechargeable variations. As a result, I would imagine that AA and AAA batteries would probably be the most popular and take up the least amount of space and weight in your store. Electronic devices using C, D or 9v batteries surely exist, but they don’t seem to be quite as prevalent anymore. Whether you are protecting your family from a marauding horde or just hunting for some food, firearms and ammunition can be vital to your survival. Of course guns would likely be the most common weapons to keep close by. However, they need to be fed ammunition or they become worthless so keeping plenty of ammunition on hand is a necessity and will always be a valuable commodity. Someday in the near future a mere handful of bullets could be worth an entire bag of groceries or more. Crossbows, compound bows and longbows are certainly an interesting alternative to a firearm. Firing the projectile is silent and accurate for a moderate distance which makes them attractive option. However. even a crossbow or longbow requires ammunition. While bolts and arrows are typically reusable, they can also be made by hand in a pinch. So what other weapons would likely be valuable during an apocalypse? I think most blade, blunt and pointed weapons would be important to have on hand. Everything from survival knives and hatchets to swords and spears could be used effectively in a close-combat situation. They are typically inexpensive and perfect for combat situations when you need to be silent, and they never run out of ammunition. Even something as simple as a log or baseball bat can give you the upper-hand when you need it most. Another inexpensive alternative that has recently caught my attention is a simple slingshot. They too are silent and can be deadly if you are accurate enough. And best of all, its ammunition can literally be found everywhere. Anything from steel balls and marbles to small stones and shrapnel can be used effectively. What do you do if you get injured or sick in a post-apocalyptic scenario? Everything from sterile gauze and antibacterial ointments to antibiotics and cold medicine will undoubtedly become instrumental to your family’s survival. Stocking up on medical supplies today just might save a life tomorrow… Medical supplies are relatively inexpensive and their shelf life is extremely long when stored in a clean, dry environment. 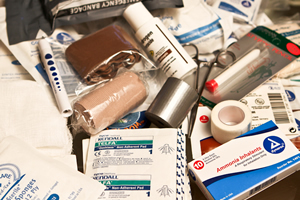 Bandages, rubbing alcohol, hydrogen peroxide, Iodine, antibacterial, anti-itch, anti-fungal and petroleum creams, powders as well as as cold and flu remedies and anti-diarrheal medication would likely command a high-price in a post-apocalyptic world. For thousands of years humans have relied on nature to provide their wellness. Learning and understanding natural and holistic remedies will be extremely important. Whether you are in the field or you simply run out of supplies, knowing what alternatives the earth can provide can be the difference between life and death. One thing you just cannot get away from in any survival situation is the importance of good personal hygiene. Good personal hygiene is likely one of the most effective ways to protect ourselves, and others, from illness. Stocking up on common items like soap, toothpaste, toilet paper, personal wipes and even hand sanitizer can make a world of difference to your health and your psyche, both short and long term. One of my worst fears is running out of soap and toilet paper should the world come crashing down. I don’t know about you… But not having any toilet paper, wipes or hand sanitizer would surely be devastating to my psyche. As a plumber in a past life, I have seen things that I just cannot unsee and smelled things that could turn any stomach. When the grid collapses it won’t take long for serious sanitation problems to erupt. Not nearly as much if you are nomadic, but certainly if you are stationary. I truly believe that proper sanitation techniques are crucial to keeping your family safe from serious illness. 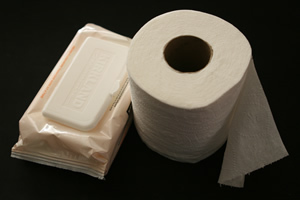 As important as personal hygiene products are, simply knowing how to deal with sanitation properly is imperative. Personal hygiene and sanitation should always be part of every SHTF plan. Hypothermia is a condition in which the body’s core temperature drops below what is required for normal metabolism and bodily function. Hyperthermia is an elevated body temperature due to failed thermoregulation that occurs when the body produces or absorbs more heat than it dissipates. Body temperatures below 95 °F (35 °C) and above 104 °F (40 °C) should be considered life-threatening. The proper shelter, bedding, clothing and footwear tailored to your environment is a necessity. Whether you are in a cold or warm climate, dressing for success is key to your survival. When you are creating your preparedness plan, always consider your environment and plan accordingly. Extra tents, tarps, bedding, clothing and footwear will likely become valuable resources, for yourself and for those around you. Biodiesel is a diesel fuel alternative created from vegetable oils, animal fats, or recycled cooking greases. It is safe, biodegradable, and produces fewer air pollutants than petroleum-based diesel. Biodiesel can be used in its pure form or blended with petroleum diesel. Biodiesel blends can also be used as a heating oil. Anyone who can generate biodiesel for fueling generators, vehicles and providing a heat source is yet another valuable commodity to plan for in a post-apocalyptic world. Food was a form of currency for many early societies. 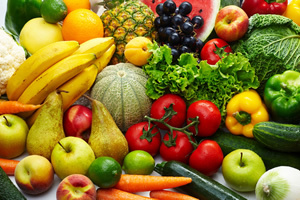 Humans have been farming and trading their produce for thousands of years, and they still do to this day. Food is a necessity for survival, and in a post-apocalyptic world I expect the endeavor will only explode. Boundless home-based gardens and larger co-op farms and markets will likely spring up everywhere. Even fish and furs would likely play a part at these markets. When the power-grid goes offline or collapses, electrical generators are the only way to power appliances and common electronic devices. The two most common generators are fuel-based systems and solar-based systems. However, in rural areas you can also find wind-powered systems as well. But for the sake of this article, I am only going to focus on fuel and solar -based systems. Fuel-based generators are very efficient at producing electricity and they can produce electricity whenever you need it, even in the middle of the night. However, they are quite loud which may draw unwanted attention, they require regular maintenance, and in rough times, fuel may not be easily obtainable. Although, some may be convertible to biodiesel or come set up for biodiesel right out of the box. Additionally, fuel-based systems are typically heavy, but they are relatively inexpensive and typically do not require much space to store. Solar generators on the other hand require only sunlight to produce electricity. Therefore, they cannot generate electricity when the sun is not out or at night. Additionally, the solar panels, charge controller, inverter and batteries required to operate a typical refrigerator, freezer and maybe a few small electronic devices or power tools would be very expensive and require a substantial amount of space. Sadly, most stand-alone units on the market today take six or more hours to charge, but they will not operate a typical refrigerator for more than an hour or two at a time. DIY and commercial systems can be custom-tailored with your goal in mind. However, they become less-portable as the amount of panels, batteries and space required for even a moderate system can be somewhat overwhelming. 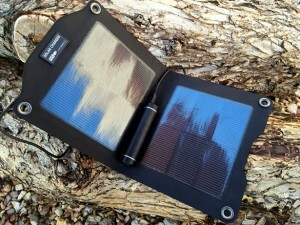 This is why most home systems on the market today don’t even offer off-grid functionality. Anyone can find a way to efficiently produce electricity in the wake of a power-grid failure is sure to have earned an advantage by offering this highly-prized commodity. In a post-apocalyptic world, it is likely that the Internet, Cellular and traditional phone networks would cease to function. They require a power-grid to operate and that is probably one of the first things to go. However, there are many old-school alternatives that are still in use by hobbyists and remote areas today. The amateur radio community has millions of members worldwide and several hundred thousand licensed HAM operators in the United States alone. It is the relentless dedication of these enthusiasts that make HAM radios stand out as one of the best (and likely only) communication network available during a regional, national or global catastrophic event. The ability to communicate will allow our civilization to share information and rebuild much quicker. Those providing that ability will have quite the advantage. 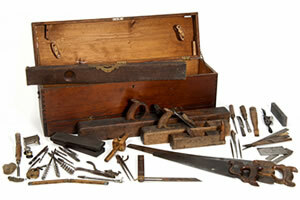 Sure common hand tools like hammers, pliers and screwdrivers will always be important to keep handy. But when there is no more power available, it is the less-common tools like hand saws, augers and planes that will be invaluable to have around. In a post-apocalyptic world, things will have to be made by hand again. Just like the past, those who possess the right tools for the job will have a much easier time surviving. And last but not least… Precious metals and stones. Throughout history precious metals and stones have always been held in high regard. Even in times of war, disease and famine. Therefore, precious metals and stones like gold, silver and diamonds just to name a few will likely remain valuable commodities for centuries to come. Additionally, I expect metals like steel, aluminum, copper, brass and lead would be very valuable resources to have available. Final Thoughts… There are so many things to consider when creating an emergency preparedness plan. I hope my opinions and observations provided you with some food for thought. Leave a comment or drop me a line if you’d like to discuss further. I am still in the process of figuring it all out so I’d love to hear your thoughts. I will be expanding on many of these topics in future articles. Please keep an eye out for them should they interest you.